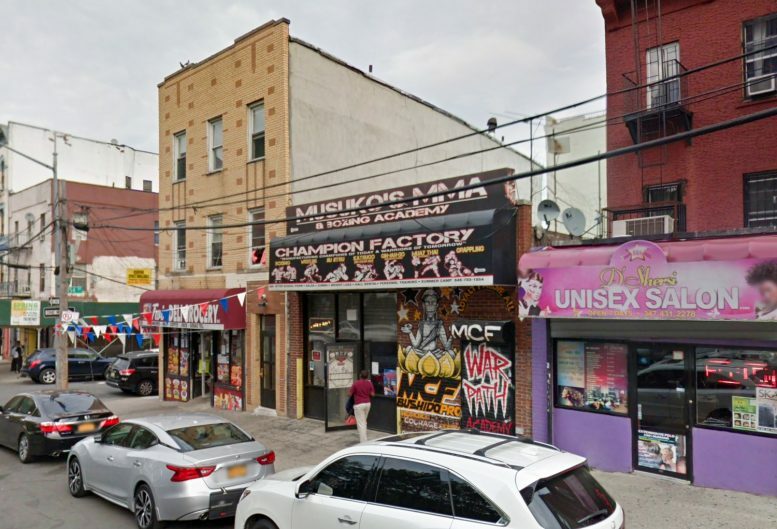 Permits have been filed for a six-story mixed-use building at 686 Courtlandt Avenue in Melrose, The Bronx. The site comes six blocks away from the 3rd Avenue 149th Street subway station, serviced by the 2 and 5 trains. Antonio Iachetta is listed as responsible for the development. The 65-foot tall building will yield 8,300 square feet, with 1,880 square feed dedicated to commercial use, and 5,630 square feet for residential use. Ten units will be created, averaging 563 square feet apiece, indicating rental studios. A commercial-retail space will be included on the ground floor. New York Design Architects is listed as the architect of record. Demolition permits for the existing warehouse have already been submitted. The estimated completion date for construction is still unknown. 1 Comment on "Permits Filed for 686 Courtlandt Avenue, Melrose, The Bronx"